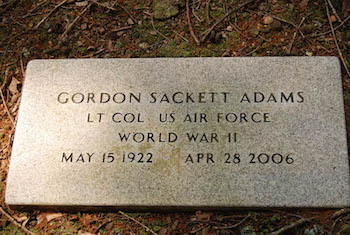 Gordon was a career soldier, achieving the rank of Lieutenant Colonel in the US Air Force. He served during the Second World War. Gordon Adams was born and raised in Virginia and because of his career in the United States Air Force has lived in most of the states in the USA as well as "one year in Labrador and seven years in Europe." Gordon says he "started [researching] on my family about 1935, and have hundreds of ancestral surnames, primarily English, Dutch, French, and Belgian." Chris Sackett shares that Gordon is "unusual amongst American Sacketts in that he does not descend from either Simon the colonist or John of New Haven, but comes from a later arrival—his great-great-grandfather Henry Sackett who emigrated from Thanet, Kent, to New York City in about 1836." The reason he began researching his family history is because "my family had many, many snapshots. I felt a need to understand if and how I was related to all of these people; primarily an identification problem at first; is this guy husband of my first cousin standing with him? Which of my seven uncles was her father?" Gordon Sackett Adams has the distinction of being a double Sackett descendant following the marriage in his line of Jeremiah Sackett and Sarah Hodgeman, both Sackett descendants. Email from Gordon Sackett Adams to Sackett Discussion List, June 2002. "Social Security Death Index", database, Ancestry.com, "Gordon Sackett Adams, b. 15 May 1922, d. 28 Apr 2006, last res. 95014 Cupertino, Santa Clara, California, SSN issued Virginia before 1951." "California, Divorce Index, 1966–1984", database, Ancestry.com, "Jun 1973, divorce, Santa Clara, California, Gordon S Adams and Jenny P Peeters." Adams, Joseph I, son, 31, single, , b. VA, father b. VA, mother b. Canada French, buyer, leaf tobacco. 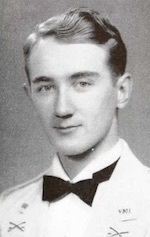 "U.S., School Yearbooks, 1900–1990", digital image, Ancestry.com, Virginia Military Institute, 1942, "Gordon Sackett Adams, Civil Engineering, Red Oak, Virginia. "; 1943, "Gordon Sackett Adams, Red Oak, Virginia. Civil Engineering, Calvalry. "Slugger". 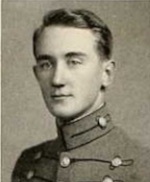 Private, Cororal (3); Northern Virginia Club; Richmond Club; Southside Virginia Club; Cadet (4,3,2,1), Associate Editor (1); Turn-Out (1); Swimming Team (3,2,1); Gym Team (4,3,2,1); Track (4); American Society of Civil Engineers; Officers of Guard Association; Assistant Manager, Swimming (2); Manager, Swimming (1). The "Slugger"—which title will long be associated with the little incident of the girl and Harry—having the covenient habit of asking impossible questions in class to dodge a recitation. Unassuming—but quietly getting mixed up in a lot of everything." "U.S. WWII Draft Cards Young Men, 1940–1947", database, Ancestry.com, "Gordon Sackett Adams, Red Oak, Virginia, b. Richmond, VA, 15 May 1922, age 21, student UMI [sic: VMI], wt 125, complexion ruddy, eyes blue, hair brown, ht 5' 7", nok Burkley D Adams, father. Reg. 1943."